Stowe, Vermont is every bit as postcard picturesque as you can imagine, especially when the snowflakes are drifting slowly from the sky as if you are in a life-sized snow globe. 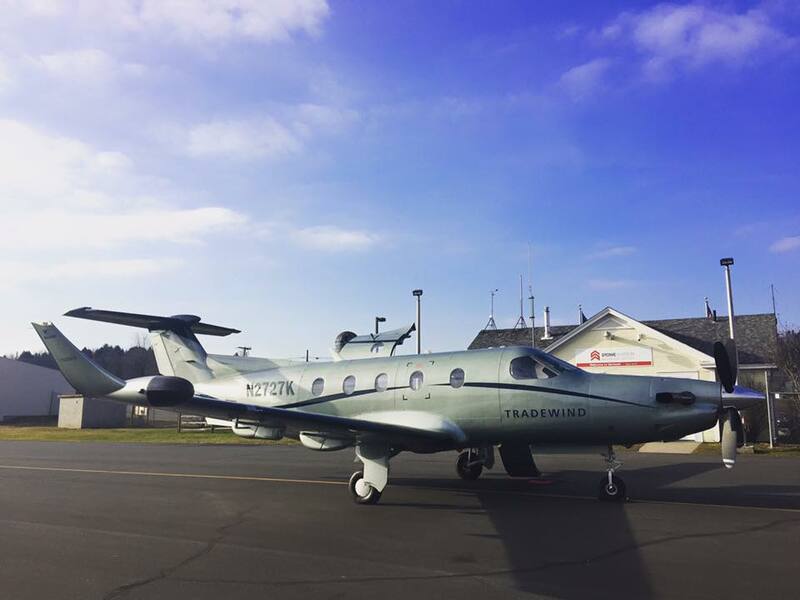 Easy access through Tradewind’s private air shuttle also makes the “Ski Capital of the East” more accessible than ever—a welcomed development for ski enthusiasts all across the Northeast. The quaint town of Stowe is home to over 4,000 people nestled in a valley between Mount Mansfield and the Green Mountains. It’s a perfect getaway for snow seekers looking to take advantage of 485 skiable acres on Mount Mansfield, Vermont’s highest peak at 4,395 feet of elevation. “We have spent 10 Million in snowmaking improvements over the past three years,” says the Director of Public Relations and Social Media at Stowe Mountain Lodge, Leslie Kilgore. Understandably, it attracts people from all over the continent. Prime skiing and snowboarding conditions are no secret in this town, but you’ll also find a wealth of other winter activities perfect for a day of fun in the snow with the family. Snowmobiling, dogsledding, and ice climbing are just the tip of the iceberg. After a day in the snow, you’ll likely have worked up an appetite. A smaller town doesn’t mean a lack of food options—quite the opposite. Start out by grabbing a drink and some appetizers at The Hourglass in the Stowe Mountain Lodge. For dinner, check out one of the many spots in town like Michael’s on the Hill or The Bench. If you are loving the elevation, you’ll find an unmatchable view on top of Mt. Mansfield. “The Cliff House Restaurant at the top of Mt. Mansfield is a spectacular spot during a day on the ski hill,” says Kilgore. Whether Italian, farm-to-table or Mexican cuisine gets your mouth watering; we know you’ll find it in Stowe. When the sun crawls below the horizon and it’s time to call it a night, you don’t have to rest your head just anywhere. There are several options in Stowe that are ideal for unwinding and catching some z’s. We are fond of the Stowe Mountain Lodge, the only ski-in-ski-out hotel at the base of the mountain offering a luxurious feel similar to the resorts you will find in the west. There is a wealth of other great options available for relaxing and rejuvenating, like the Top Notch Resort and the boutique hotel, Field Guide. However you choose to plan your stay in Stowe, chances are you’ll be coming back for more in the very near future.